I have been contemplating for a very long time about migrating from Blogger to WordPress. And finally , I have taken the big plunge or crossover! My previous blog received lots of tremendous love, support and appreciation from close ones. Well, I hope the goodwill always remains! 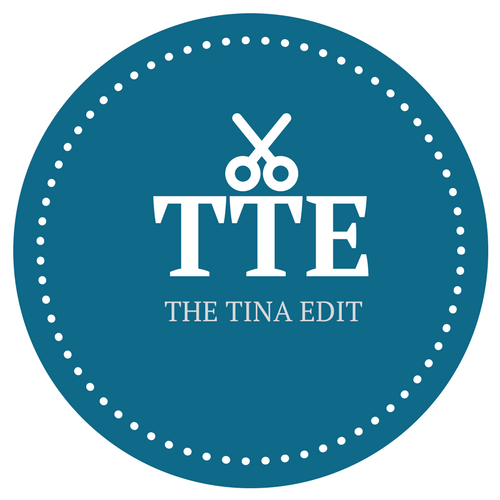 The Tina Edit will essentially be the same as the earlier blog. But, it promises to be sharper and crisper in content quality and style. What you, as a reader, can expect is high quality, rich and mature content. I had a blast creating my new blog site. Right from conceptualizing the theme of the blog, the domain name, designing the site´s logo from the scratch, the tag line, scanning through scores of templates and choosing the perfect one, customising the template to be an extension of my personality, organizing the content in a neat layout, creating the various categories and sub-categories and other minion paraphernalia. Guess what? The best part starts NOW. The official announcement as of today and interacting with you all – fellow writers and dearest readers alike! Let the party begin! I hope you enjoy reading my blogs as much as I love writing them down for you and me. May we all grow and learn from one another as the years go by! Next Free your mind – Breathe Easy and Let it Go! I enjoy your posts a lot Tina. I am always waiting for your articles. I am learning a lot from you and updating my vocabulary. And it’s a great site. Beautifully designed. Hi Aesha! That´s awesome to hear. Same here, Aesha, I get to learn a lot more parenting nuggets of wisdom and experience from you as well. Thank you so much for the lovely feedback on the design especially! Glad you liked it! Keep reading! Great Day! Thanks Tina. It feels good to here that my experience helps other moms . As that is the primary reason to start blogging. Means a lot. Absolutely, Aesha! And you are doing amazingly well considering that you started only a few months back. More power to your mission and passion. Love and God Bless! Hi Sonia! Thank you so much for the lovely warm wishes! I´m glad you liked it…and you have a similar looking blog too. 🙂 Keep stopping by and reading! Cheers! Went through a bit of your blog and it is actually a bit surprising how different we are. Politically, ideologically and so on. I feel nice when I meet people different from me and I seem to have found a polar opposite here. Hi Knightofsteel! It is surprising how you feel nice meeting people different from you. It´s a good outlook to have. Thats the way it should be. As long as one can agree to disagree respectfully 🙂 I was going through your tiny tales too. They´re pretty awesome. I liked the Last Meeting. Glad to connect. Keep stopping by! Cheers! Congratulations on this plunge. Wish you good luck.